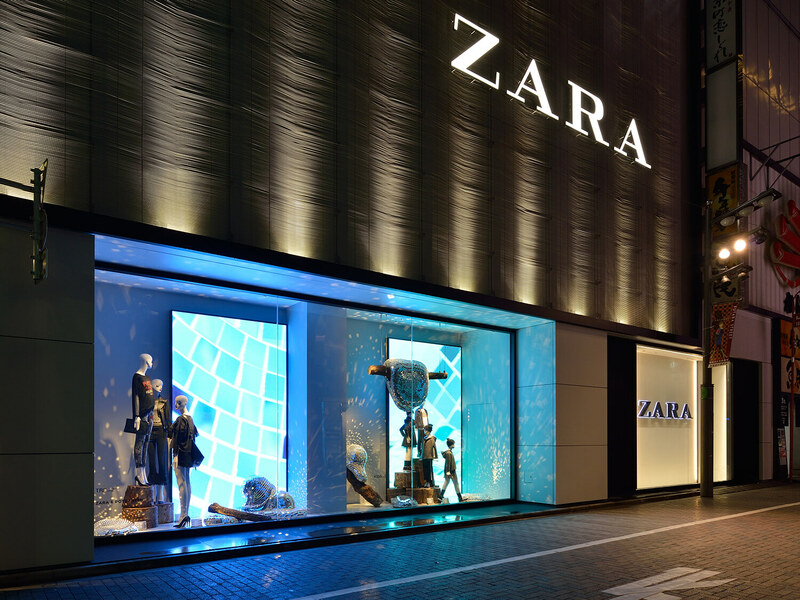 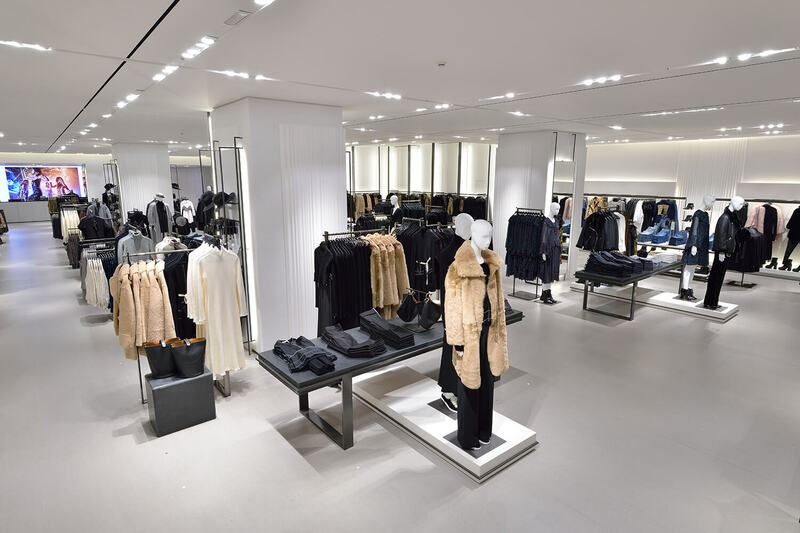 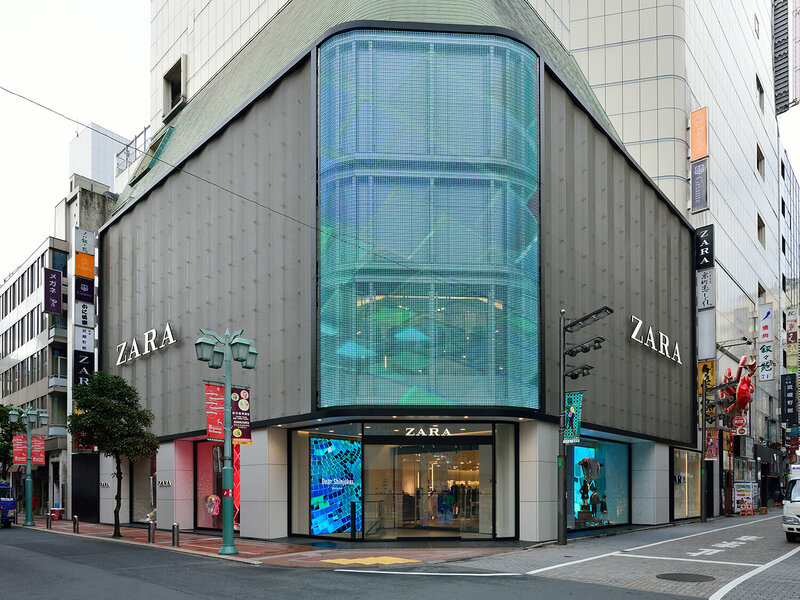 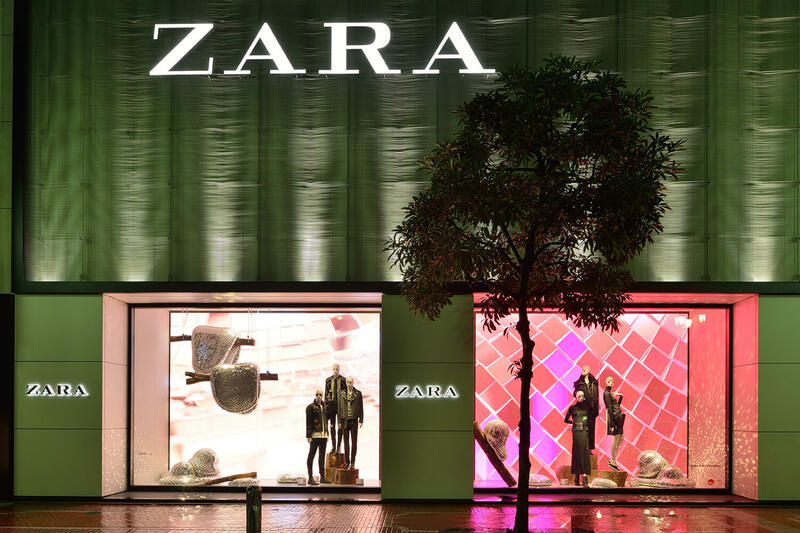 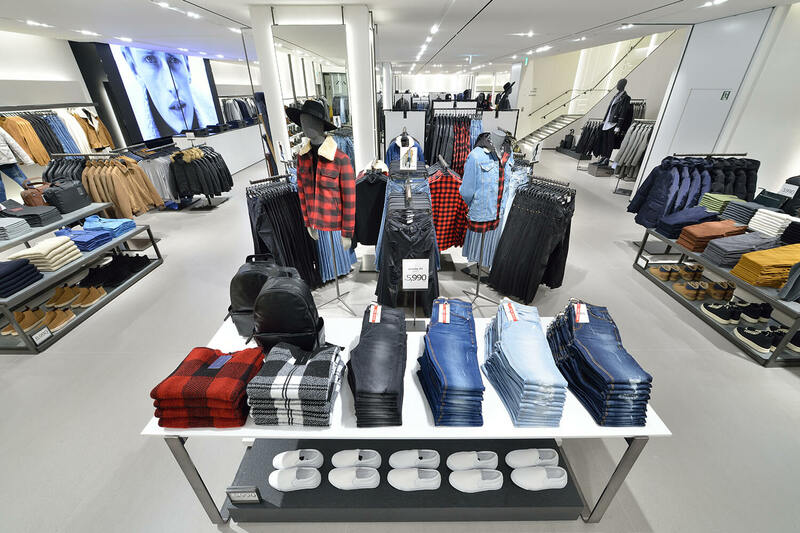 Spanish fashion brand ZARA’s shop renovation in Shinjuku, Tokyo. 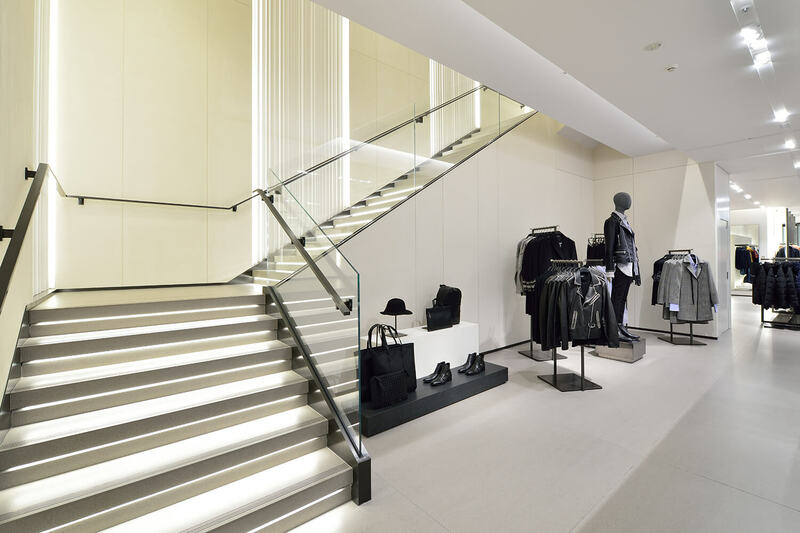 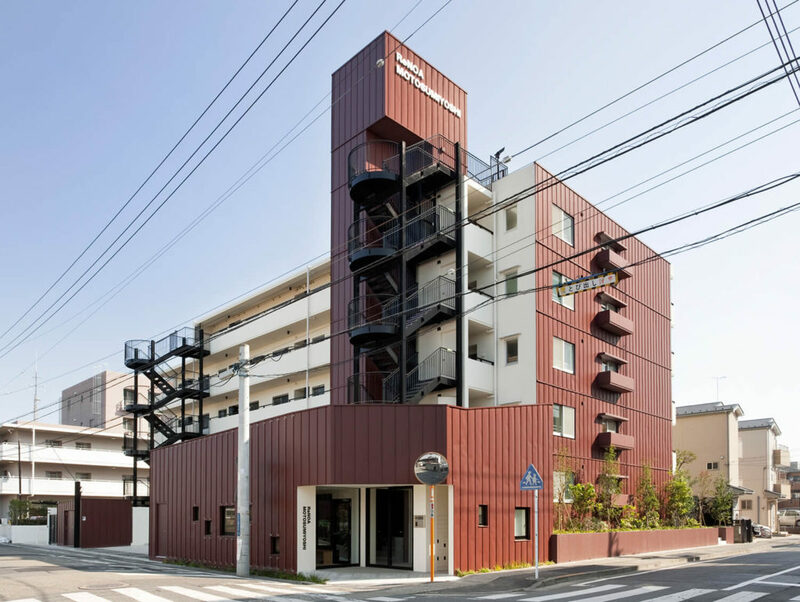 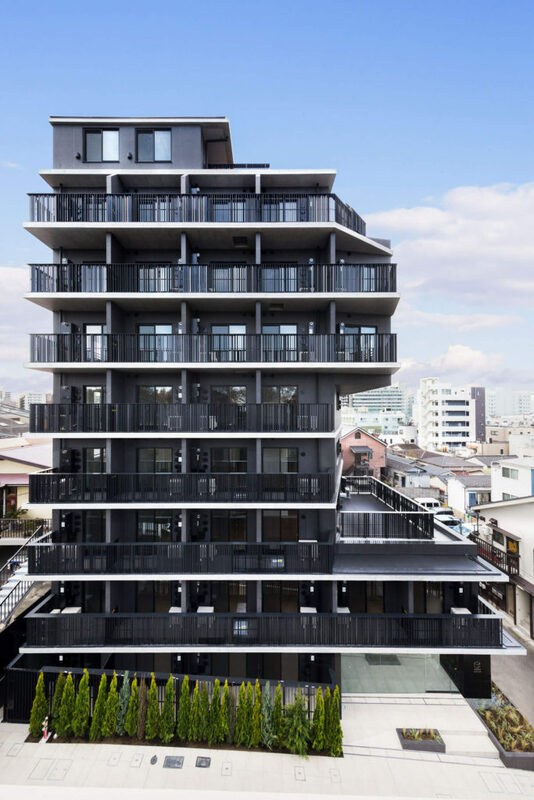 The facade is covered with thin aluminum bar mesh which expresses a soft fabric. 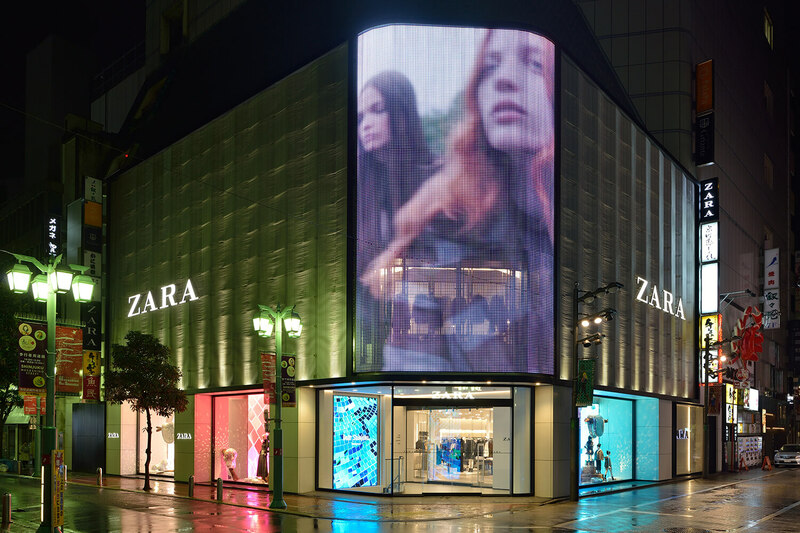 At the center of the facade, there is a vast screen Media Mesh which is s made of stainless steel wire mesh interwoven with LED lights. 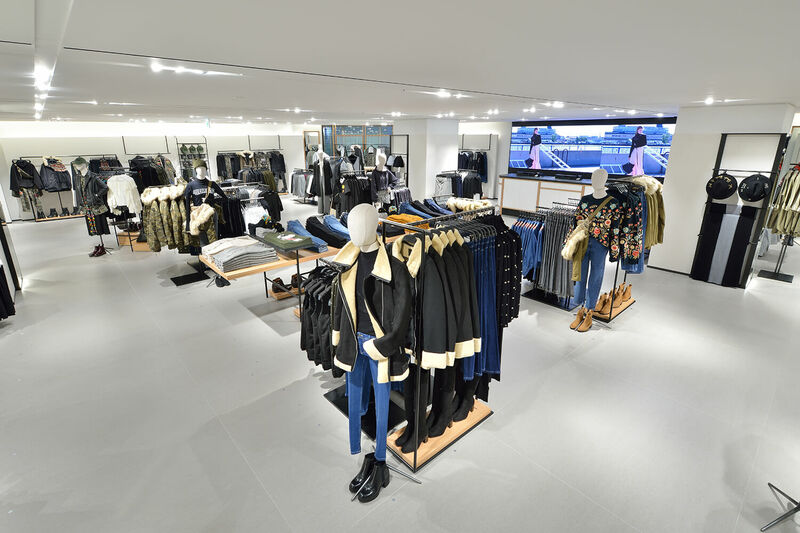 This screen is displaying the brand’s latest collection images. 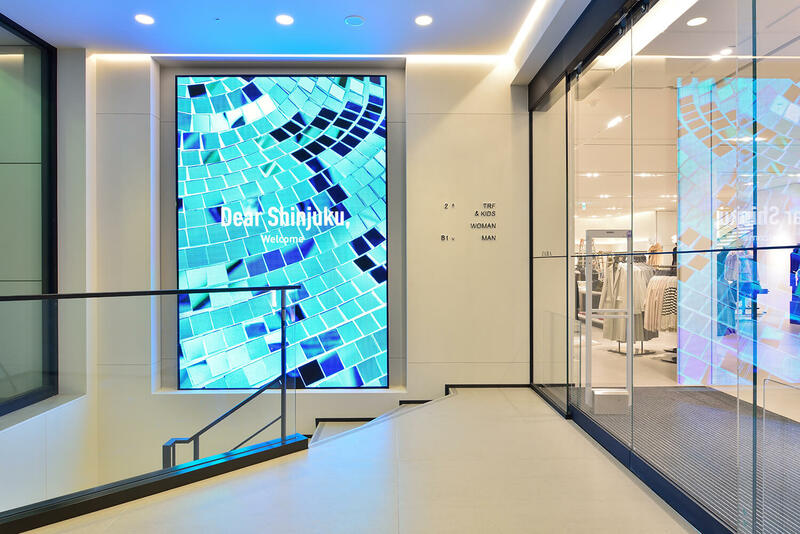 The shop sales area is now expanded to the basement level and it becomes one of a largest store in Japan. 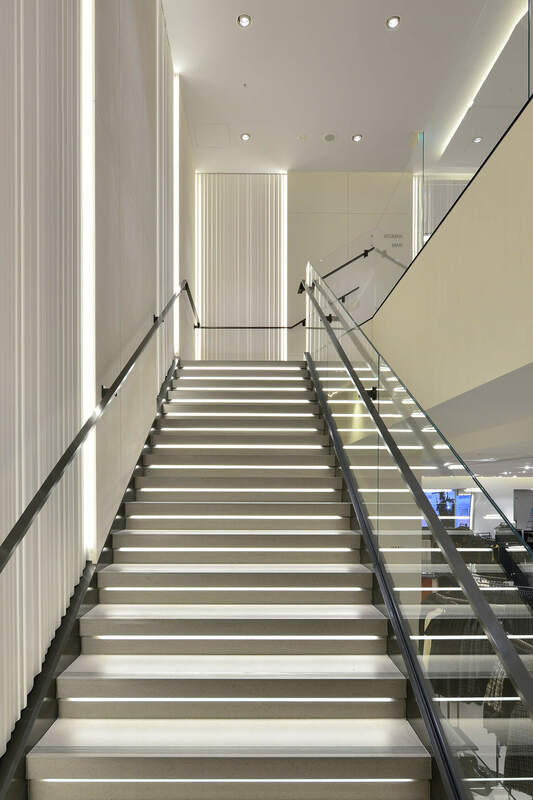 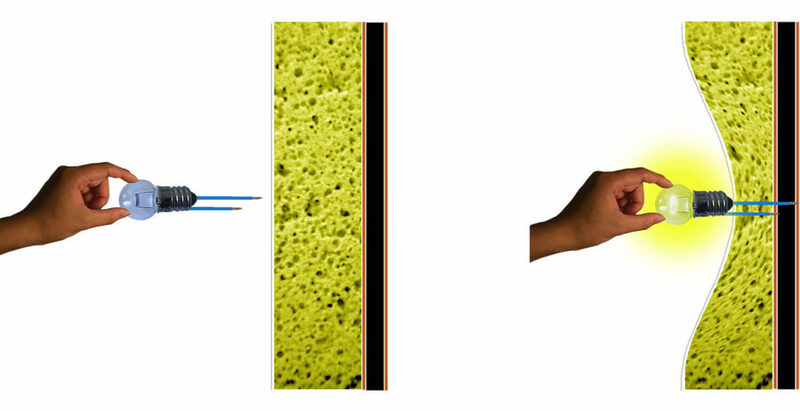 The variation of different material; wavy panels and concrete textured walls are giving a depth in the sales area. 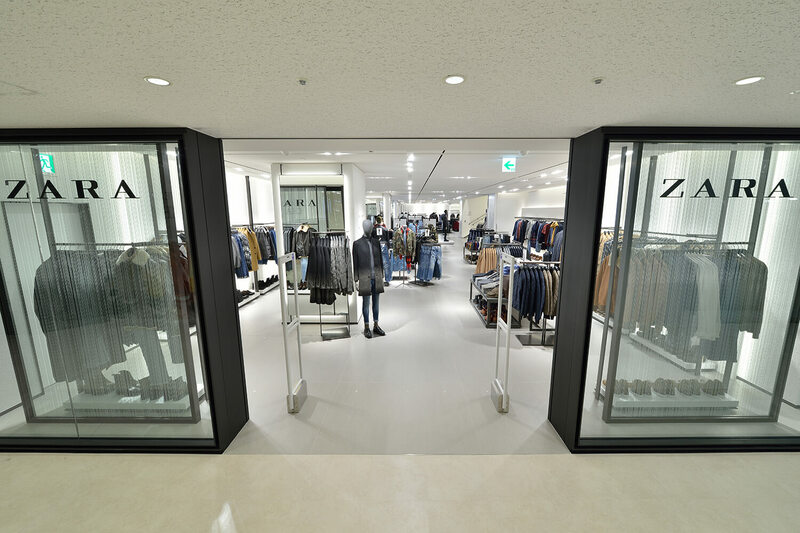 Basement level is men’s section and the ground floor is ladies’ section, whereas the second floor is for both woman and kids’ sections.